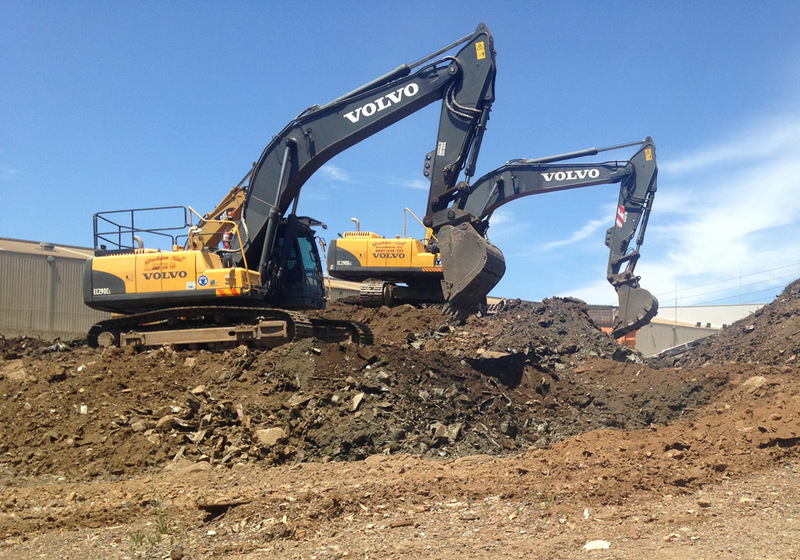 Waste management commences with the proper classification of contaminated soil. Materials with similar properties and that pose similar risks to the environment and to human health need to be separated onsite before they can be disposed offsite at a licensed landfill. The separation of waste prevents the cross contamination of waste streams which in turn results in financial savings if the soils are required to be disposed offsite. Some waste materials require additional analysis and classification to meet waste tracking, or dangerous goods storage and transport requirements. In fact it’s an offence under the Protection of the Environment Operations Act 1997 to supply false or misleading information about waste materials. This includes details such as the type, classification, characteristics, composition and quantity of the waste. There are significant penalties for failing to do this. If it is not a Special or Liquid Waste, determine if it is a waste pre-classified by the NSW EPA. Please note: The EPA has pre-classified a number of commonly generated wastes as either hazardous, restricted or general solid (putrescible) or general solid waste (non putrescible). If the waste does not display characteristics that classify it as a Hazardous Waste then conduct chemical analysis to determine if it is a Hazardous, Restricted Solid or General Solid (non putrescible and putrescible) Waste. Please note: If not chemically assessed, you must manage the waste as if it were hazardous waste. If the waste is determined to be a General Solid Waste, assess it to determine if it is non-putrescible or putrescible in nature. Please note: If you do not wish to undertake this assessment, you must manage the waste as if it were general solid waste (putrescible). Once a waste material has been properly classified, the best approach can be determined. AES can help you tailor options, such as asbestos removal that are best suited to your site, and your budget.